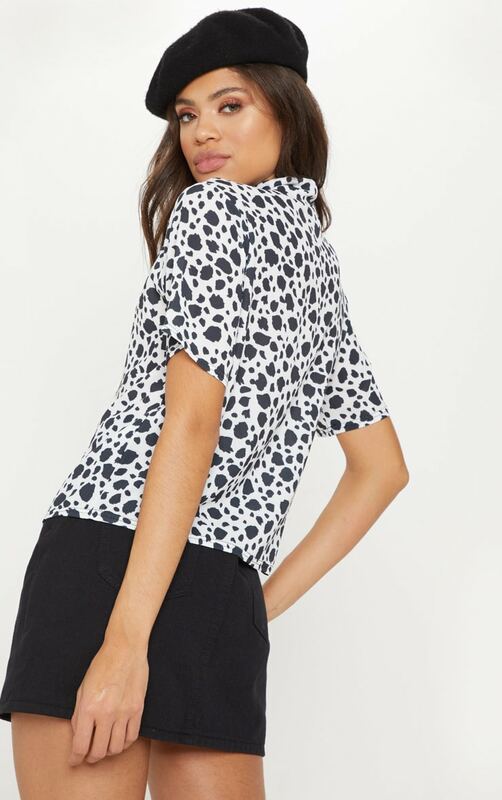 Animal prints are everything we are loving right now and this shirt is a serious wardrobe staple. 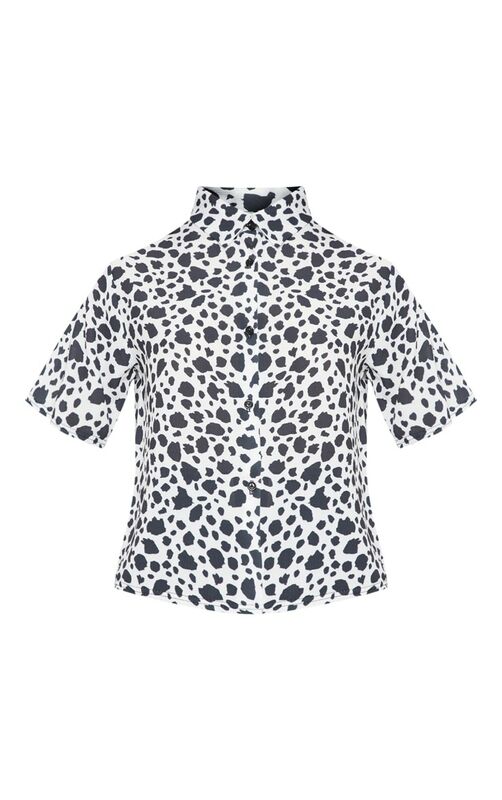 Featuring a black dalmatian fabric with cropped sleeves, a button up fastening and loose fit, what's not to love? 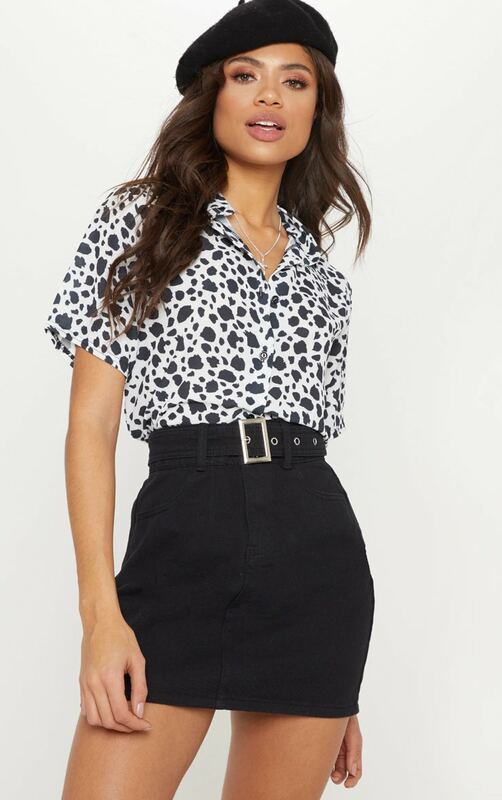 Style with a black denim skirt, leather jacket and chunky boots for a look we're obsessing over.